QSL Infobox is a modern electronical equipment that contains all required information on packed and unpacked food. By scanning a barcode or entering product name, customer gains detail information on its ingredients or origin immediately. No papers on request, no reading of labels under a magnifying glass. In QSL Infobox, customers have ALL information on ALL products on one place in a legible form. You will comply with a legal standard and customers are perfectly informed, even if they left their glasses at home! Why should your store have QSL Infobox? QSL Infobox will solve your problem with placing the information that have to be in "close proximity" of products as well as information that have to be provided on request. You will not need to print new updated materials and train personnel all the time. You will communicate all information on one place. You will communicate with the customers in contemporary form. No papers handed over from hand to hand but a touch screen providing full user comfort. Using QSL Infobox you can communicate your promotions, customers may provide you with immediate feedback through QSL Infobox. What is it QSL Infobox? 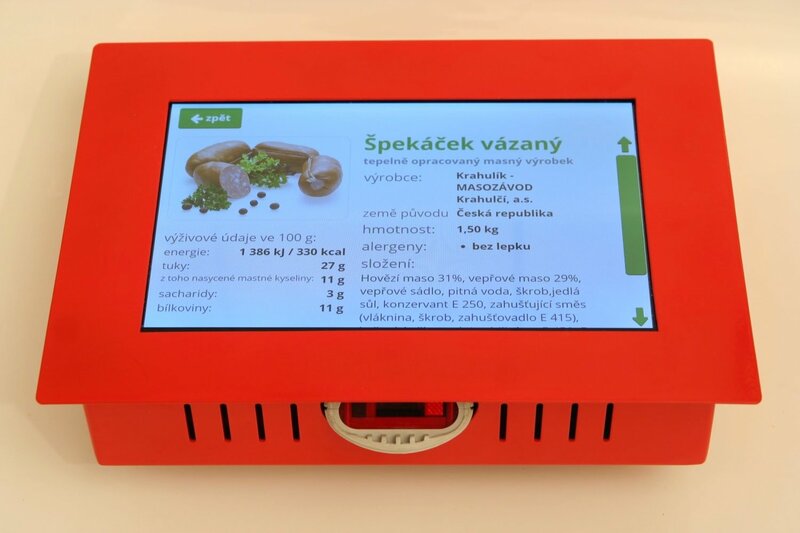 It is an electronic self-service counter with a touch screen connected to the database of your products with all information, to which consumers have access by law. Once you install the counter in store and put connection to database in operation, consumers have access to information. Control is absolutely intuitive, fast and complies with current communication trends. Customers come with packed food and scan EAN barcode. Information from the packaging displays but in the form that is readable unlike on the label. In case of an unpacked food, customers can easily search particular product by its name or special short code. Again, all data customers are entitled to by law will display on the screen. You as the seller do not have to worry about where to place information near food or about printing and submitting information on request. Consumers have everything on one place, fast and easily accessible, perfectly readable. Those are the basic functions. QSL Infobox can do more. For example, while inactive Infobox screen can attract the attention for various promotions and discounts in store. Another advantage of electronic information is their easy and fast update. Data can be changed in the database and they are immediately updated for all your stores. What is more, with each change of data of unpacked food, you will not need to print new papers and place them within the store. Again, it is enough if you update the database. Immediate response (positive or negative) is always incentive for a good merchant. In the world, it is common for the customers to complain of substandard goods directly in the store, here it is not so common yet. And that is a pity because customers' opinions are the most important ones. Not many people are willing to look for shop assistants among the shelves, fill in various papers at the checkout zone or to telephone or send a claim using e-mail. However, the customers often take it out on social networks and there is a high risk of losing reputation (and subsequently also sales). 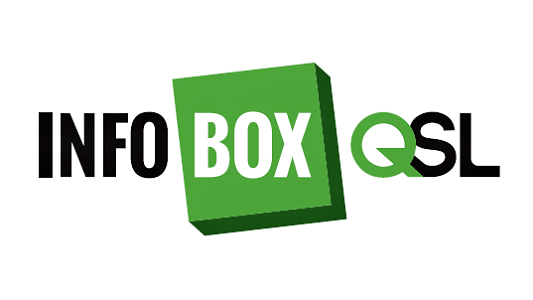 QSL Infobox is a new direct communication channel with customers. By one touch, the customer takes a photo of a product s/he does not consider standard and sends it to the merchant. Together with such reporting the customer can send his/her contact information and the store can notify him/her of the solution. Thanks to such communication, you can avoid unpleasant discussion on Facebook or other social networks. The customer reports the product immediately (by which, among others, s/he vents the immediate annoyed mood), seller can start settling it without any delay. If you know the retail environment, you know the worst inconvenience customers face. It is poor legibility of product ingredients. Font is usually small, even though it was enlarged. Population gets older, many people suffer from vision disorders, and not everyone wants to take glasses when shopping. Small fonts often become insurmountable obstacle. An elegant solution is QSL Infobox that comprehensibly and legibly displays ingredients of requested product sold in your store. We can say that it is a kind of food magnifying glass. Sellers of unpacked food must always have the information on ingredients, allergens, etc. available for the customers. This requests high costs of printing paper list that must be often updated and maintained in legible form. It will not take long and you will have a small library on the counter. You can avoid this by QSL Infobox that will ensure that correct and current information will easily be available for the customers. And without any printing. Our company delivers QSL Infobox with installation and all service required before start and we also provide its smooth operation. Get rid of the worries whether you comply with standards and let first class experts care for you. Contact us!